The moon Prometheus and a bit of Saturn's northern hemisphere are both brilliantly lit by the sun here, making the A ring seem dim in comparison. The bright limb of Saturn's northern hemisphere can be seen through the A ring in the lower left of the image. Prometheus (86 kilometers, or 53 miles across) orbits in the Roche Division between Saturn's A and F ring. 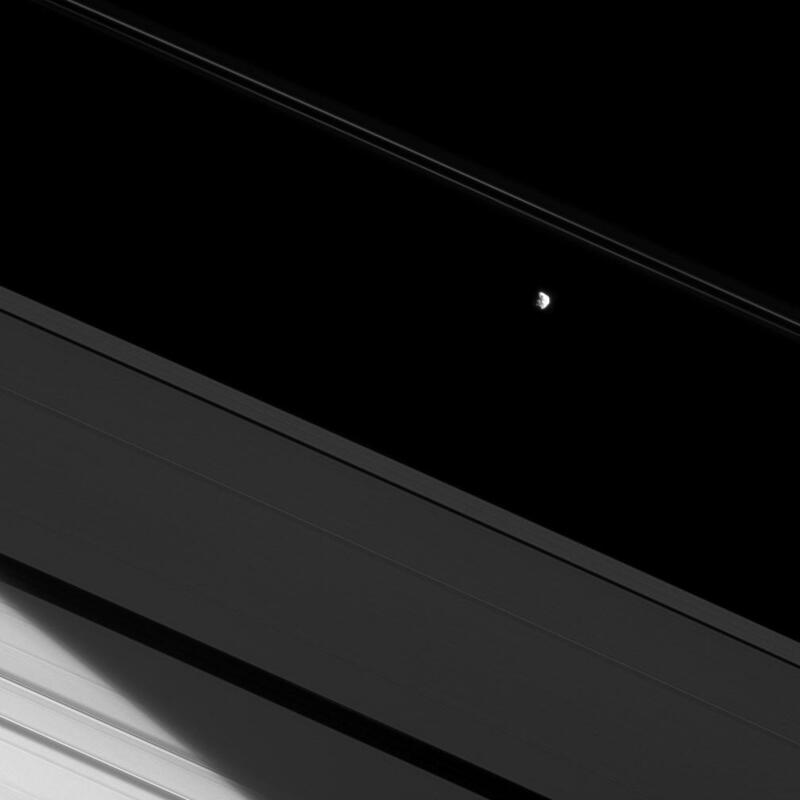 For a similar view of Pandora, another of the F ring's shepherding moons, see PIA09899. 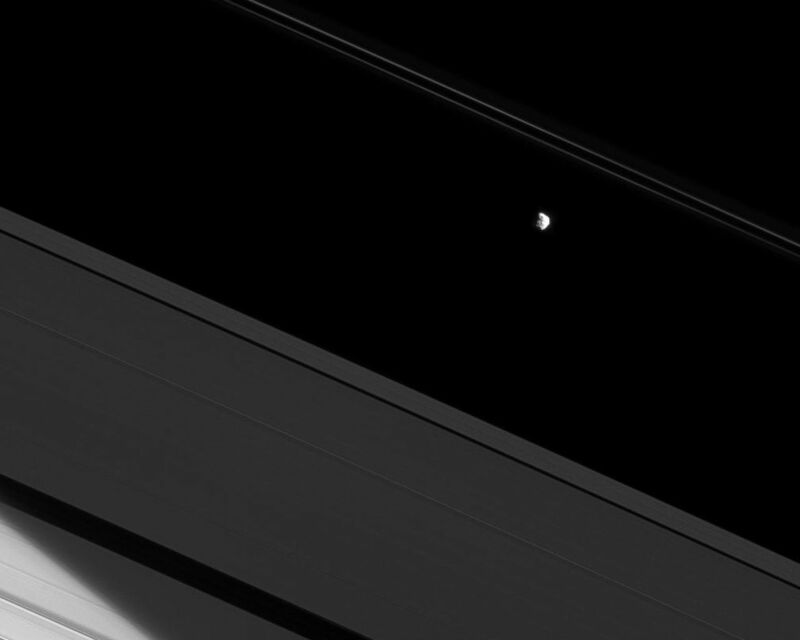 This view looks toward the sunlit side of the rings from about 20 degrees below the ringplane. The image was taken in red light with the Cassini spacecraft narrow-angle camera on May 25, 2009. 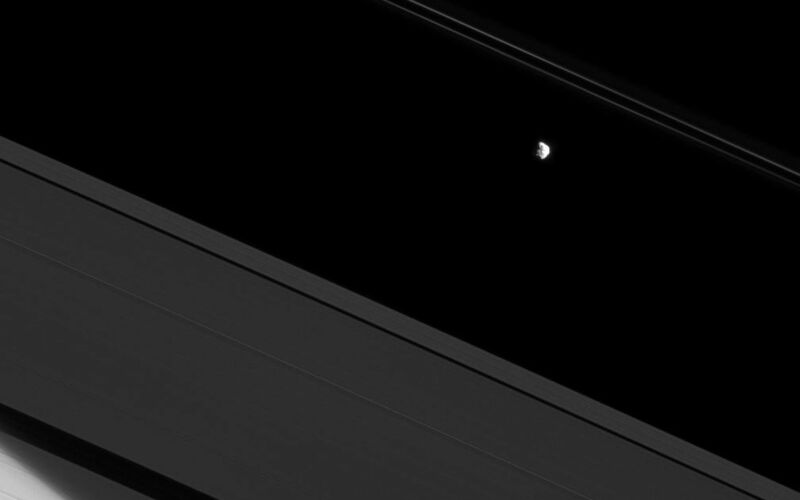 The view was acquired at a distance of approximately 694,000 kilometers (431,000 miles) from Prometheus and at a Sun-prometheus-spacecraft, or phase, angle of 49 degrees. Image scale is 3.6 kilometers (2.2 miles) per pixel.